Muslim Association of Taranaki | Ramadan Starts tomorrow ! 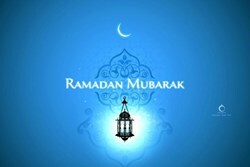 Ramadan Mubarak ! The new crescent of Ramadan has been sighted in multiple locations around New Zealand. InshaAllah Isha Salaah will commence at 7:30 tongiht at 9 Cracroft St.